Author note: I prefer sourdough bread for this sandwich, however use which ever bread you prefer. Slice the cucumber and spread out on the cutting board. Top with a few sprinklings of salt and dashes of vinegar. Let sit for 5 minutes. Smear a generous amount of mascarpone on each side of bread. 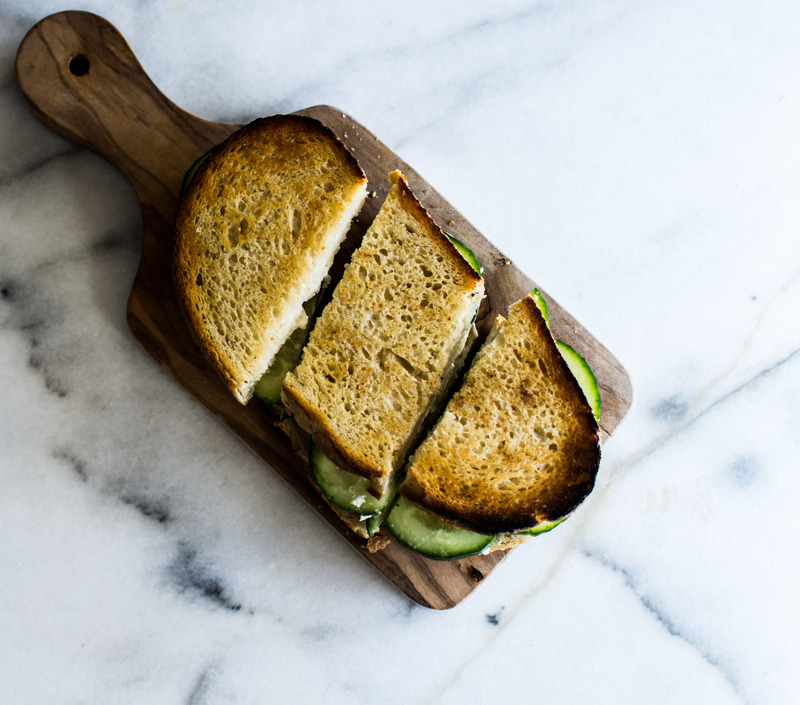 Take one slice of bread and cover completely with cucumber slices. Top with the remaining piece of bread. Slice in half and serve. This entry was tagged cucumber mascarpone sandwich, cucumber sandwich, cucumber sandwich recipe, dallas food blog, dallas food blogger, texas food blog, texas food blogger, what to make with mascarpone. Bookmark the permalink. Few ingredients, simple, and totally yum. I like this! Thank you! I totally agree with you. Nothing beats a simple, delicious meal.